Dennis Duck on Drums, Mark Walton on bass guitar, and Jason Victor on Guitars. Kendra Smith on vocals as special guest on last track. We are in the middle of european leg of Solo!Electric! tour. 9 shows in Italy are gone and other 5 will take place in the next 5 days. Meanwhile feedbacks from the shows, reviews, videos and setlists starts to rise and will be loaded on the website. Steve Wynn is coming, in a "solo, electric" version! don't miss him! Ormai ci siamo... la prossima settimana arrivano i Dream Syndicate... non perdeteveli! We're ready... Dream Syndicate are coming! At the link you can find a review with some pictures and the setlist from the Bowery Electric concert (November 11). Two great great Dream Syndicate concerts on tuesday in Marina di Ravenna and Wednesday in Mezzgo, with the band really wild in each member. A dream came true! Il giorno seguente suoneranno invece al Bloom di Mezzago per un concerto tutto l'oro con apertura in acustico dei Cheap Wine. La notizia è che i Dream Syndicate raddoppiano: oltre alla data del 29 maggio al Bloom di Mezzago, suoneranno anche la sera precedente all'Hana-Bi di Marina di Ravenna! La formazione sarà quella già collaudata lo scorso autunno, con Dennis Duck alla batteria, Mark Walton al Basso e Jason Victor alla chitarra. Sul numero di marzo del Buscadero è presente un bell'articolo sul concerto di Steve Wynn e Chris Cacavas ad Alzano Lombardo scritta da Dario Regis. Trovate una scannerizzazione dell'articolo nella sezione multimedia. Altre foto di Mauro Regis sono visibili sempre nella sezione multimedia. The news is that Dream Syndicate will double: in addition to the concert at Bloom in Mezzago, they will play the night before at Hana-Bi in Marina di Ravenna. The line-up will be the one already tested last autumn, with Dennis Duck on drums, Mark Walton on bass guitar and Jason Victor on guitar. On the march edition of Buscadero Magazine there's an article about the Steve Wynn & Chris Cacavas concert in ad Alzano Lombardo written by Dario Regis. You can find a scan on the multimedia section of the website. You can see more photos by Mauro Regis always on the multimedia section. Splendido concerto venerdì sera all'Auditorium Parco Montecchio ad Alzano Lombardo (BG). La serata si è aperta con un set di 6 brani della band "Claudia is on the sofa", ed è proseguita poi con un set di Chris Cacavas, e con quello di Steve wynn, che ha cominciato in solo, poi si è unito Steve Cacavas. Ecco la scaletta della serata, alcune foto e qualche video... E GRANDE NOTIZIA: DREAM SYNDICATE AL BLOOM DI MEZZAGO IL 29 MAGGIO!!! Beautiful concert friday night at Auditorium Parco Montecchio in Alzano Lombardo (BG). The show it's been opened by a 6 song set of the band "Claudia is on the sofa", and continued with a Chris Cacavas solo set, and then with Steve Wynn, that started solo, then was joined by Steve Cacavas. Here you can see somephotos,videos, and the setlist... AND BIG NEWS: DREAM SYNDICATE AT BLOOM IN MEZZAGO NEAR MILAN ON MAY 29!!! Sta per partire il tour acoustico di Steve Wynn assieme a Cacavas. Sarà in italia mercoledì 6 febbraio a Cantù all'unaetrentacinquecirca, giovedì 7 febbraio a Milano allo Spazio ex Ansaldo, e venerdì 7 febbraio all'Auditorium Parco Montecchio ad Alzano Lombardo (BG). Il tour proseguirà poi in Europa, principalmente in Germania. I dettagli li trovate nella pagina delle tour dates. Agli show sarà possibile acquistare anche il cd in edizione limitata UP THERE - HOME RECORDINGS 2000-2008 di cui abbiamo già parlato. Invitiamo chi assisterà ai concerti ad inviare scalette, foto e recensioni all'indirizzo di posta elettronica indicato nella pagina contatti di questo sito. I contenuti verranno pubblicati sul sito. Grazie in anticipo. Sono state annunciate alcune date per un tour dei Dream Syndicate in Europa, che speriamo verrà esteso. The acoustic tour of Steve Wynn and Cacavas is starting this week. They will be in Italy, wednesday feb 06 at unaetrentacinquecirca in cantù, thursday Feb 07 at Spazio Ex Ansaldo in Milan and friday Feb 08 at Auditorium Parco Montecchio in Alzano Lombardo (BG); then the tour will continue in Europe, mainly in Germany. All the details are in the tour dates page. At the shows will be available the limited edition cd UP THERE - HOME RECORDINGS 2000-2008 of which we have already spoken. We invite people that will attend the concerts (non only italians) to send setlists, photos, and reviews at the email addresse that is in the contact page of this site. The stuffs will be published on the website. Thanks in advance. Some european dates of Dream syndicate are been announced. Steve sarà in Italia per 3 concerti in acustico assieme a Chris Cacavas dal 6 all'8 febbraio. I dettagli li trovate nella pagina delle tour dates. Steve will be in Italy for 3 acoustic shows with Chris Cacavas, from 6 to 8 of february. You can find the details in the tour dates page. Il tour belga si è concluso con la cancellazione delle ultime 4 date causa problemi familiari non specificati. E’ possibile che le date siano riprogrammate all’inizio del 2013. Il tour consisteva in un uno spettacolo che univa le canzoni di Steve agli sketch teatrali di Piv Huvluv, un attore belga. Nella sezione diary potete leggere l'ultimo diario di Steve da Oostende. The belgian tour ended with 4 show canceled due to unspecified family problems. It’s possible that these concerts will be rescheduled in early 2013. The tour was a combination between Steve’s songs and Piv Huvluv sketch’s. On the diary page you can reed the translation of the last Steve's diary from Oostende. Nella sezione multimedia trovate alcune foto del concerto dei Dream Syndicate a Barcellona, scattate da Mauro Capoferri. In the multimedia section you can find some photos from the concert of Dream Syndicate in Barcelona, by Mauro Capoferri. Last night in Barcelona was the first concert of Dream Sindycate spanish tour. Steve posted the setlist on facebook. 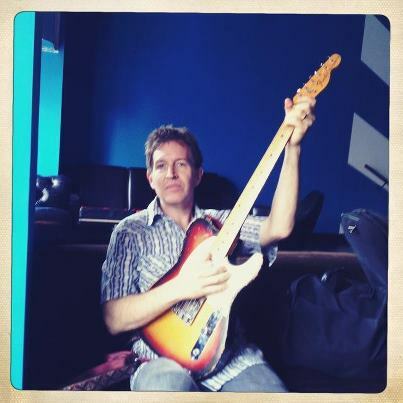 For this tour Steve will play the guitar he played with Dream Syndicate and was played no more unitl now. A settembre cade il trentesimo anniversario dalla pubblicazione di The Days of Wine and Roses e ci sono grandi novità! Steve si riunirà assieme a Dennis Duck e Mark Walton per qualche data in Spagna, assieme a Jason Victor. Non si sa il motivo per cui non sarà presente Paul B. Cutler, che invece aveva partecipato ad una sorta di Reunion non ufficiale in un concerto acustico a nome di Steve Wynn and Friends, il 28 luglio del 2006 al McCabe’s di Santa Monica. Vedremo… Per quello che riguarda questo sito, sono state aggiunte le traduzioni del disco Weasel. This September marks the 30 year anniversary of the release of The Days of Wine and Roses and there’re big news! Steve will be reunite with Dennis Duck e Mark Walton for few shows in Spain, together with Jason Victor. We don’t know why Paul B. Cutler won’t be present, as he played in 2006 (July 28) at McCabe’s in Santa Monica in an acustic concert with Steve, Dennis and Mark under the name of Steve Wynn and Friends…We’ll see… About this site, lyrics and translation for the album Gutterball were added. Sono state aggiornate le date dei concerti. Fra le diverse date è presente anche un concerto Newyorkese al CBGB festival. Il CBGB's, storica venue newyorchese aperta da Hilly Kristal nel 1973 che tenne a battesimo, i nomi più importanti del panorama punk e new wave statunitense, e la cui sede storica - situata al numero 315 della Bowery, a Manhattan - fu chiusa il 15 ottobre del 2006, potrebbe riaprire i battenti nel centro della Grande Mela, ovviamente in un’altra location visto che dove c’era il locale adesso c’è un negozio. In ogni caso la cordata di investitori che ha rilevato gli asset della società vuole far rivivere il locale e continuare a supportare la musica dal vivo. Quindi è stato organizzato un festival, dal 5 all’8 luglio, in diversi locali e club newyorchesi, sul modello di altre manifestazioni come il South by Southwest di Austin e il CMJ, sempre a New York, l'iniziativa vedrà sfilare sui palchi che la ospiteranno, tra gli altri, Cro-Mags, Vision of Disorder, Sick of It All, Guided by Voices, Pains of Being Pure at Heart, Cloud Nothings, il già New York Dolls David Johansen e i Baseball Project, band nella quale militano il già R.E.M. 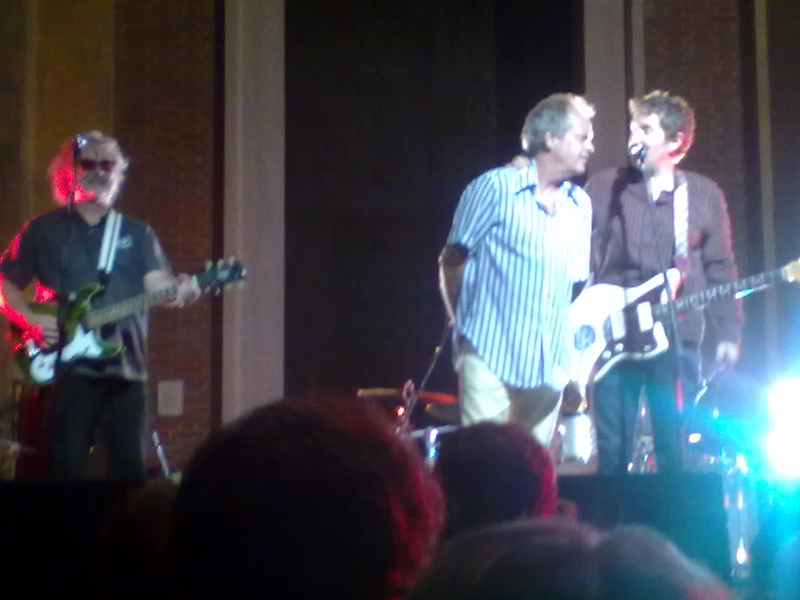 Peter Buck e l'ex Dream Syndicate Steve Wynn. It’s been updated the tour dates page. Between the concerts, there’s a date at the CBGB festival in New York City. The CBGB's, the historical New York City venue opened by Hilly Kristal in 1973, where played the biggest names in the punk and new wave U.S. scene that was located at number 315 of Bowery, Manhattan - was closed on October 15 of 2006. But could open its doors in the center of the Big Apple, of course in another location as where it was, now there’s a shop. In any case, the consortium of investors that took over the assets of the company wants to revive the club and continue to support live music. So it's been organized a festival, from 5 to 8 July, in several New York clubs, modeled on other events like South by Southwest in Austin and CMJ, also in New York. The festival will see performances of many artists and bands like Cro-Mags, Vision of Disorder, Sick of It All, Guided by Voices, Pains of Being Pure at Heart, Cloud Nothings, the former New York Dolls David Johansen and the Baseball Project, the band in which militate Peter Buck from REM and former Dream Syndicate Steve Wynn. Nella sezione diary trovate le traduzioni di tutti i diari di Steve relativi alla recente trasferta australiana. In the diary page you will find translation of all Steve's diary entries from Australia. Steve è in Australia per alcuni concerti al Dig It Up festival organizzato dagli Hoodoo Gurus. Nella sezione diary trovate le traduzioni dei suoi diari. These days Steve is in Australia for some concerts at Dig It Up festival organized by Hoodoo Gurus. You can find italian translations of his diaries in the diary page. Dopo molti anni Steve tornerà in Australia per un paio di concerti. E' infatti dal 1986 che mancava dalla terra di sotto, come l'ha definita anche lui sul sito ufficiale. Per quello che riguarda invece questo sito, sono state aggiunte i testi e le traduzioni dell'album Gutterball. After many years Steve will come back in Australia for a couple of concerts. It's since 1986 that he miss the lanm down under, as he said on his official site. About this site, lyrics and translation for the album Gutterball were added. Steve il 24 febbraio ha suonato a New York alla Bowery Electric con i Miracle 3. Potete leggere la setlist ed una recensione del concerto al seguente link. Steve played on february 24 at the Bowery Electric in New York with the Miracle 3. You can reed the setlist and a review at the following link. E' stato aggiunto nella sezione bootleg videos il dvd del concerto di Bologna del 2005, che ora potete scaricare. The Bologna 2005 dvd bootleg it's been added for download in the bootleg videos page. E' stato aggiunto nella sezione bootleg videos il dvd del concerto di ferrara del 2003, che ora potete scaricare. The Ferrara 2003 dvd bootleg it's been added for download in the bootleg videos page. Tre registrazioni dei concerti della scorsa estate sono online sul Live Music Archive: 2 registrazioni del concerto di Brescia all'Arena Sonica Festival ed una del concerto di Brisighella nell'ambito dello Strade Blu festival. Grazie ai fratelli Regis che hanno registrato i concerti. Three new bootlegs from last summer concerts are online on Live Music Archive: 2 recordings from Brescia (Arena Sonica festival) Aug 07, 2011 and the recording from Brisighella (Strade Blu Festival) Aug 09, 2011. Thanks to the Regis brothers who taped the concerts. Sul sito sono online le traduzioni di Fluorescent. Sul sito dei REM trovate il programma dei concerti di Steve con i Baseball project, Minus 5, Robyn Hitchcock ed altri in Messico, come dalle news passate. Stanno per arrivare sul Live Music Archive i bootleg dei concerti italiani della scorsa estate dei Baseball project. Translations of Fluorescent are online. On REM website you can read the program of next year concert of Steve with Baseball Project, Minus 5, Robyn Hitchcock and others in Mexico, as we said in the past news. Bootlegs of the last summer italian concerts of Baseball projects are coming. Steve ha annunciato che terminerà l'anno ed inizierà il 2012 con una serie di concerti in Messico al Southern Tip a Baja California.con i Baseball Project, Robyn Hitchcock e gli altri membri dei Minus 5. Tra l’altro i rumours raccolti durante il tour italiano parlavano di un possibile disco acustico sullo stile di Corssing Dragon Bridge per la primavera del 2012, ed un disco con i Miracle 3 verso la fine del nuovo anno. Per quello che riguarda il sito sono online le traduzioni di Dazzling Display. Steve announced on his website that He will begin the 2012 with a serie of concerts in Mextco at Southern Tip of Baja California with The Baseball Project, Robyn Hitchcock and the other members of Minus 5. Rumours kept during last Italian tour said that is possible another semi acoustic record like Crossing Dragon Bridge for the spring of 2012 and maybe a Miracle 3 record for the end of the year. Talking about this website, translations of Dazzling Display are online. Nell’accogliente auditorium Lottagono dell’Oratorio San Paolo di Bergamo, si è concluso con successo il serrato e faticoso (6 concerti in 7 giorni) tour acustico italiano. Per questa, come per alcune delle precedenti date, Steve è stato affiancato sul palco dal fido contrabbassista olandese Erik Van Loo. Secondo consuetudine, scaletta a 360° che ha attinto da tutto il repertorio di Steve, di gruppo e solistico. Oltre agli immancabili classici, hanno trovato spazio autentiche rarità (Carry A Torch e, a richiesta, Black) ed alcune cover (Blind Willie McTell su tutte). Chiusura all-together con i Rusties Acoustic (Marco Grompi e Jada Salem), che hanno aperto la serata, con Tonight’s The Night. Appuntamento al 2012 per un possibile tour primaverile con un mini-gruppo acustico. In Bergamo it was the last concert of the italian acoustic tour (6 shows in 7 days). For this, as for some of the nights before, Steve was joined on stage by the Dutch bassist Erik Van Loo. 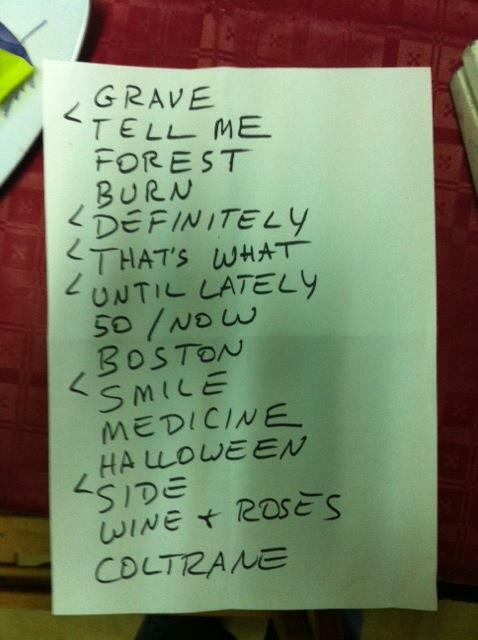 As usual, the setlist has drawn 360 ° from the entire repertoire of Steve, group and solo. Besides the obligatory classics, rarities have found a place (Carry Torch and, on request, Black) and some covers (Blind Willie McTell over all). Final encore all-together with Rusties Acoustic (Marco Grompi e Jada Salem), who opened the evening with Tonight's the Night. Appointment to 2012 for a possible spring tour with a mini-acoustic group. In the multimedia section (video Steve Wynn 2011 page) were added youtube links for watching many videos from the last italian concerts. This night will be the last concert of this italian tour; here're some videos from the concerts in Vasto and Naples. Dopo l'incontro di ieri sera a Bergamo nell'ambito della manifestazione "5 dischi per l'isola deserta", Steve questa sera suonerà ad Asti. Nel frattempo è stata creata sul sito la pagina Bootleg Videos, dove sono disponibili per il download alcuni video del concerto acustico del 2006 a Dozza Imolese, vicino a Bologna. After yesterday's press conference in Bergamo about "5 records for a desert isle", Steve is going to play this night in Asti. Meanwhile on the website it's been created the Bootleg Videos page, where at the moment are available for the download some videos from the acustic concert in Dozza Imolese in 2006. Bella e piacevole serata ieri sera a Lugagnano, con Steve in versione jukebox a soddisfare le tante richieste del pubblico. La setlist ha presentato ben 5 brani da Kerosene Man, oltre al ripescaggio di canzoni dei Dream Syndicate come I Have Faith, oltre ai classici, fra cui spicca una stupenda versione di Halloween. Steve ha poi suonato un paio di cover, Wichita Lineman di Jimmy Webb ed in chiusura Stage Fright di The Band. It was a beautiful and pleasing night yesterday in Lugagnano, with Steve in Jukebox version, to satisfy all the audience requests. The setlist shown 5 songs from Kerosene Man, besides to the dust off of Dream Syndicate songs like I Have Faith, in addition to the masterpieces, including a beautiful version of Halloween. Then Steve played a couple of cover songs, Wichita Lineman from Jimmy Webb and for closing the concert, Stage Fright from The Band. In attesa dell'imminente arrivo di Steve Wynn in Italia, sono state aggiunte le traduzioni di Northern Aggression. Nella sezione multimedia è stata aggiunta la recensione del concerto di Steve Wynn con i Miracle 3 a Trieste il 10 novembre 2010, scritta dallo staff di Trieste Is Rock. La versione italiana la potete leggere sul sito di Trieste Is Rock. Waiting for the forthcoming arrival of Steve Wynn in Italy, translation of Northern Aggression were added. In the multimedia section it's been added a review of the Steve Wynn & The Miracle 3 show in Trieste, on November 10, 2010, written by Trieste Is Rock staff. Nella sezione multimedia (pagina 2011) sono stati aggiunti alcuni video dal concerto al DuranWop festival del primo ottobre, ed un video del 2006. E' stata aggiunta un'altra data, a Napoli il 3 novembre. Another italian concert it's been added, Naples November 3. Oltre alle due date già previste a Lugagnano e Roma sono state inserite altre date a Bergamo, Asti e Vasto. Nella sezione multimedia sono state aggiunte molte foto dai recenti concerti italiani, ad opera di Mauro e Dario Regis. Other italian dates were added (Bergamo, Asti, Vasto) in addition to those already planned (Lugagnano, Rome). In the multimedia section were added a lot of photos from last italian concerts, taken by Mauro and Dario Regis. Come già anticipato Steve Wynn sarà in Italia tra la fine di ottobre e l'inizio di novembre. Al momento sono fissate due date, il 30 ottobre a Lugagnano Di Sona vicino a Verona, ed il 4 novembre a Roma. As we said Steve Wynn will be in Italy between the end of October and the begin of November. Two dates are planned at the moment, on October 30 in Lugagnano di Sona near Verona and on November 4 in Rome. E' stata aggiornata la pagina delle date dei concerti da cui si può presumere che Steve sarà in Europa in ottobre in versione acustica, probabilmente con Cris Cacavas... speriamo che arrivi anche in Italia... qualche rumour c'è già. Sono stati aggiunti i testi e le traduzioni di here Come The Miracles nell'apposita sezione. Tour dates page it's been updated and we can think that Steve will be in Europe in October in acustic version with Cris Cacavas... We hope that He'll touch Italy... some rumours are already in the air... Lyrics and translations of Here Come The Miracles were added in the appropriate section. Just few words what’s happened last two days at Alpine Valley Music Theatre, East Troy, Wisconsin. One of my favourite bands celebrated his 20th anniversary. So I want to thanks PEARL JAM for all the great music they gave us in all these years. Keep it up guys! Altro grande concerto di Steve e compagni ieri sera a Brisighella nell'ambito dello Strade Blu festival. La serata è iniziata con un set di circa 30 minuti di Dan Stuart accompagnato da una band italiana. E' salito sul palco anche Steve per Cast Iron Soul. Poi è inziato il concerto dei Baseball Project, qui sotto il nome di Steve Wynn & Friends, anche se la scaletta è stata quasi uguale a quella di Brescia, a parte 2 o 3 pezzi in meno. E' stata suonata Medicine Show invece di Tell Me When is Over. Concerto ancora più rock e selvaggio di quello ad Arena Sonica, con Scott veramente scatenato. Per i bis è tornato sul palco Dan Stuart per Baby, We All Gotta Go Down. Grazie Steve! Grazie ragazzi! An other great concert of Steve and bandmates last night in Brisighella for Strade Blu Festival. The night began with a 30 minutes set of Dan Stuart backed by an italian band. Steve was onstage for Cast iron Soul. Then it started the concert of The Baseball Project, here named Steve Wynn & Friends, but the setlist was more or less the same that they played in Brescia, just 2 or 3 songs less. And it was played the Medicine Show instead of Tell Me When is Over. It was a concert even more wild and rock than that at Arena Sonica, with Scott really wild. For the encores Dan Stuart came back for Baby, We All Gotta Go Down. Thanks Steve! Thanks Guys! Bellissimo concerto dei Baseball Project ieri sera all'ARENA SONICA FESTIVAL (al chiuso visto il maltempo, ma non siamo fair weather fans). La setlist ha alternato ai brani del gruppo brani dei Dream Syndicate, di Steve e dei Minus 5 più la cover di Revolution Blues di Neil Young. Personalmente sono stato molto felice di aver potuto sentire 500 GIRL MORNINGS che non avevo ancora ascoltato dal vivo. A seguire la setlist (mi scuso con Scott ma non conosco i titoli delle canzoni dei Minus 5). La band mi è sembrata contenta che molti richiedessero le canzoni dei Baseball Project più che quelle delle singole carriere dei membri della band. Beautiful concert of Baseball Project last night at ARENA SONICA FESTIVAL (indoor cause to bad weather, but we are not fair weather fans). The setlist listed songs of the band, Dream Syndicate songs and from Steve's solo career, Minus 5 songs, and the Neil Young cover REVOLUTION BLUES. I was very happy to listen 500 GIRL MORNINGS that I never listened live. Here's the setlist (sorry Scott but I don't know titles of Minus 5 songs). I think that the band was happy that the audience requested more Baseball project songs than songs of personal career of the members of the band. Si avvicinano le date italiane di Steve previste per agosto. Sono intanto uscite le date di una nuova leg del tour con i Baseball Project, prevista per agosto e settembre. Trovate tutto nella pagina delle tour dates. The italian dates of Steve Wynn are coming. Meanwhile another leg of the tour with the Baseball Project is planned for august and september. You can see all in the tour dates page. E' stata aggiunta una nuova data italiana, martedì 9 agosto a Brisighella nell'ambito dello Strade Blu Festival. Il concerto è gratuito. La formazione viene indicata come Steve Wynn's All Star (con Peter Buck, Scott McCaughey, Linda Pitmon e altri). It was added another italian date, for august 09 at strade blu festival in Brisighella. It's a free concert with Steve and some friends like Peter Buck, Scott McCaughey, Linda Pitmon and others). I Baseball Project saranno in europa dal 6 all'11 agosto per tre date. In particolare segnaliamo che il 7 di agosto saranno a Brescia all'Arena Sonica Festival. The Baseball Project will be in europe from 6 to 11 of August for few concerts. The 7th, they will be in Brescia at Arena Sonica Festival. Inizia domani la nuova leg Americana del tour del Baseball Project, mentre in estate il gruppo dovrebbe arrivare in Europa. Per questa leg Peter Buck è sostituito da Mike Mills. Tomorrow starts new leg of baseball project tour, that will touch also Europe in summer. For this leg Peter Buck is replaced by Mike Mills. E' appena uscito THE BASEBALL PROJECT VOL2: HIGH AND INSIDE e sul sito di Steve è possibile acquistare anche BROADSIDE BALLADS. Il disco consiste delle canzoni rilasciate per il download negli scorsi mesi, più alcune outtakes dei volumi 1 e 2. It's been just released THE BASEBALL PROJECT VOL2: HIGH AND INSIDE that on Steve official site you can buy also BROADSIDE BALLADS. The album consist of the songs that were released for download during the last months and some outtakes from vol1 and vol2. E' online un nuovo sondaggio, con il quale potete votare il vostro brano preferito da THE BASEBALL PROJECT VOL2: HIGH AND INSIDE. Il sondaggio precedente è stato vinto ampiamente da Resolution, quale miglior brano da Northern Aggression. A new poll it's online; you can vote your favourite song of THE BASEBALL PROJECT VOL2: HIGH AND INSIDE. The late poll was widely won by Resolution, as best song of Northern Aggression. Steve Wynn is currently touring with The Baseball Project; you can get information about the shows just played reading Steve diary entries. And see some videos on youtube. A breve comincerà il tour americano, come potete leggere nella pagina Tour Dates. Nel frattempo Steve ha suonato a New York assieme ai Miracle 3. Potete leggere una recensione al link. Infine, ci sono alcuni update del sito: sono online le traduzioni dei testi di Out Of The Grey e Ghost Stories. It's released the new chapter of The Baseball Project saga, Volume 2, titled High and Inside. Soon american tour will starts. Meanwhile Steve played a show in New York with Miracle 3. You can read a review at the following link. At the end, there're some site updates: Italian translation of Out Of The Grey and Ghost Stories lyrics are online. Yesterday in Marostica was the last concert of this european tour of Steve Wynn. On saturday in Mezzago, the italian band Afterhours backed Steve for 4 songs. Some videos are on youtube, filmed by Camillo. Da domani Steve sarà in Italia per le ultime 4 date del suo tour acustico. Venerdì 11 sarà vicino Verona, sabato 12 vicino a Milano, domenica a Roma e lunedì a Marostica. A parte la data veronese, nelle altre tre sarà accompagnato da Rodrigo D'Erasmo. Per concludere, sono state aggiunte sul sito le traduzioni di Crossing Dragon Bridge. Tomorrow Steve will be in Italy for the last four shows of his acoustic european tour. Friday 11 he'll be near Verona, saturday 12 near Milan, on sunday hell'play in Rome and monday he'll be in Marostica. Excluding the first show, for the other three he'll be together with Rodrigo D'Erasmo. Talking about this site, I've added italian translations of Crossing Dragon Bridge songs. Steve è in tour... in acustico... allora quale miglior occasione per ricordare i tour acustici del passato. Nella sezione multimedia potete leggere le liner notes del "Live in Bremen"
Steve's on tour... acoustic... So, what better opportunity to remember Steve acoustic tours in the past? On multimedia section you can read liner notes of Steve Wynn "Live in Bremen"
Il tour prosegue, anche se non si hanno grandi notizie sulle scalette. Attendiamo quindi ancora più curiosi l'arrivo di Steve in Italia. Nel frattempo se volete potete continuare a visitare questo sito; a tal proposito sono state aggiunte le traduzioni di The Medicine Show. The tour goes, also if we haven't great news about the setlist. So, we wait curious for Italian dates. Meanwhile you can continue to visit this site; regarding this, translations of The Medicine Show songs were added. Steve sta per ripartire con un tour acustico che toccherà l'Italia per 4 concerti. In alcuni concerti Steve sarà accompagnato da ospiti quali Chris Cacavas, Erik Van Loo e Rodrigo D'Erasmo, che sarà presente in 3 delle 4 date italiane. Sono online alcuni update del sito; sono state aggiunte alcune artwork ed un link per lo streaming o il download di uno speciale radiofonico con intervista a Steve, nella sezione multimedia. Sono state inserite le traduzioni dell'EP dei dream syndicate, ed altre verranno aggiunte in settimana. Steve Wynn is ready to start a solo acoustic tour featuring some friends (Chris Cacavas, Erik Van Loo and Rodrigo D'Erasmo). Check the tour dates page to see all the infos. In Italy Steve will play 4 concerts (3 with Rodrigo D'Erasmo from Afterhours). Some updates of the site are online; Some bootleg artworks were added, together with a link for streaming or download of a radio special with Steve interview (Wien - Nov 11, 2010) in the Multimedia section. Are also available italian translations for down there EP and more translation will be added this week.